Used Kia Sorento Review - 2015-present | What Car? What's the used Kia Sorento 4x4 like? Once upon a time, the Kia Sorento was the sort of thing you would have sent round to the servant’s entrance, so basic were its intentions, but the last two versions have had a decidedly upmarket air to them. This third-generation version is much improved in its driving behaviour and in its fit and finish, and the Sorento may well be the only fully fledged seven-seater with such a handsome warranty, too: Kia offers a seven-year, 100,000-mile warranty from new, with the chance to extend that to the full seven years on any used car up to 18 months old. Combine that with its sharp looks and it’s no wonder that this latest model has already proved such a popular car in the UK. The sole engine option is the punchy 197bhp 2.2-litre diesel, which is available with either a six-speed manual or automatic gearbox. A bonus is that even the cheapest versions are well equipped. Base KX-1 trim gets alloys, air-con and rear parking sensors, while KX-2, our favourite, adds leather seats and a reversing camera. KX-3 and KX-4 trims add even more opulence and are worth seeking out if you like your luxuries, but both will cost you more on the forecourt. The engine’s performance is a bit flat at low revs, but the Sorento is in fact faster than rivals such as the Nissan X-Trail and Land Rover Discovery Sport, and it’s also noticeably more refined. The average claimed economy figure is reasonable, too, for a car of this size and weight, with the base-spec KX-1 model, on its smaller wheels, recording a respectable 49.6mpg. It rides well, too, and its handling is safe if a little uninspiring. It also has four-wheel drive, so buyers might feel that they have that extra edge of security on difficult roads. Hop inside and the Sorento has a good driving position, with a driver's seat and a steering wheel with plenty of adjustment. There's a commanding driving position, in fact, with excellent visibility. Even the entry-level trim comes with a DAB radio, Bluetooth (including audio streaming), voice control, six speakers, a USB socket and Apple CarPlay and Android Auto smartphone mirroring. All this is controlled through a 7.0in touchscreen. Upgrading to KX-2 and above gets you a better system – an 8.0in touchscreen that also has sat-nav. This system is simple to use because the on-screen buttons are large and clear, so are easy to press while driving. Space-wise, the Sorento doesn't disappoint. Two tall adults will have plenty of room – there’s lots of head and leg room, and shoulder room is equally generous. Wide-opening doors help make it easy to get into the front seats. The rear part of the Sorento’s interior is almost as roomy as the front. 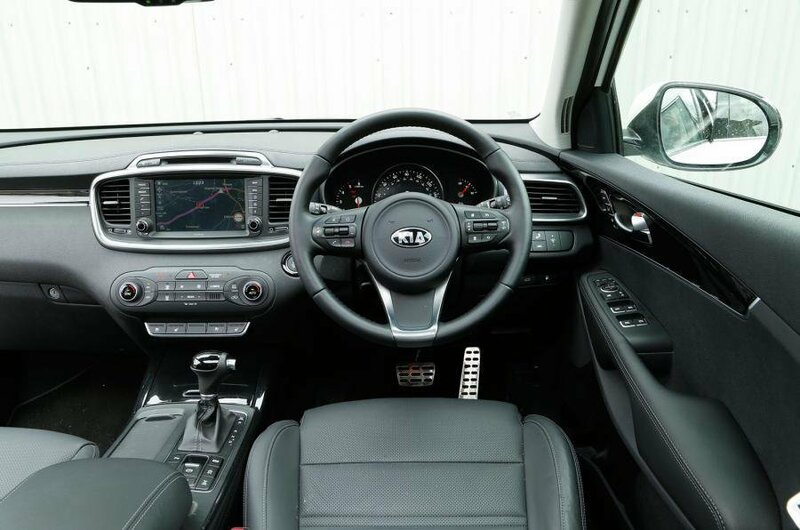 There’s generous head and leg room for two tall adults to be comfortable and even fitting three is perfectly possible, thanks to the Sorento’s broad interior and flat floor. The two third-row seats are decent, too. Sure, children will be more comfortable than grown-ups, but the seats are fine if you need to take a couple of average-height adults on a short trip. Boot space is another Sorento strong point. There's an impressive 605 litres with the two rearmost seats folded down – that's considerably more space than you get in a Discovery Sport or a Volvo XC60. Even with all seven seats in place, there’s enough room for a few shopping bags or a couple of small suitcases. 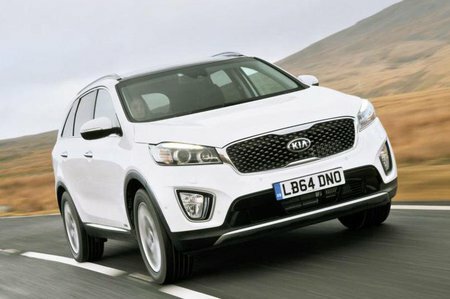 In 2018 the Sorento received a modest facelift, with a new front and rear design, new wheels and exterior colours and changes to some of the trims and the standard equipment. The engine remained unchanged, however, as did most of the oily bits underneath.